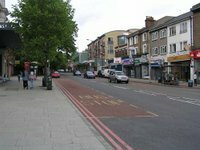 The Forest Hill Society has considered a number of planning applications for developments in SE23 over the last few months. It's also looking at ways to make our town centre more attractive to shoppers, browsers and socialisers. For the first time, we took the opportunity to support a planning application. This was the application to convert the former McDonalds site in London Road into a gym, which, perhaps thanks to our support, was approved very quickly by the planning committee. The council granted permission for a new modern house to be built in the Sydenham Park conservation area, just on the edge of Forest Hill. The Forest Hill Society submitted an objection to this proposal which we felt was not in keeping with the conservation area. However, this issue was not discussed by the three councillors who turned up to the planning committee to discuss the matter. With no discussion of the impact on the conservation area, the councillors passed the application by two votes and one abstention. A much larger development is still being considered by the planning department on the site of Tyson Road. The Forest Hill Society has written a detailed objection as have more than 300 other people! This development would place 75 flats on an area of green space resulting in a density in excess of the recommended maximum in a suburban context. To make matters worse, the latest draft from Lewisham of the local development framework recommends building 87 flats on this site, well in excess of the recommended maximum density. Our understanding now is that the council officers will be recommending approval for this development but councillors will have the final say at the planning committee on 31st March. We will keep you updated at here. The development committee does not only consider planning applications. 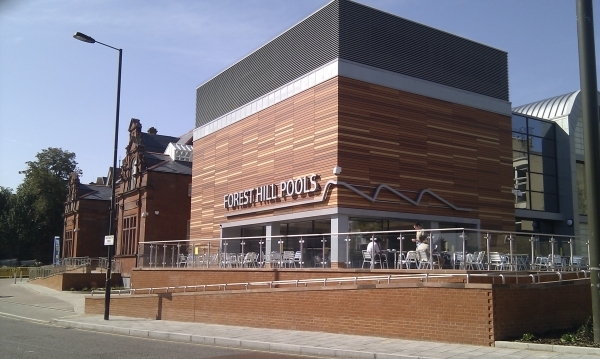 We are also looking at the longer term development of Forest Hill and Honor Oak town centres. One of the key objectives that we have is to increase the period of free parking in the Pearcefield Road car park (behind Sainsbury’s). We understand that Sainsbury’s are willing to help fund this and that the council and the Forest Hill Traders back this plan. We are just waiting for all parties to reach an agreement so that this can be implemented. We are looking for two hours of free parking so that shoppers coming to Forest Hill will be able to visit more of our shops and cafes rather than rushing to beat the parking limit. With better parking in the town centre, more people will shop in Forest Hill rather than travelling to other town centres with better parking. One other important improvement to the local shopping centre has been arranged by the Forest Hill Traders, the town centre manager, and other council officers; Dartmouth Road now has daily rubbish collections. This has removed all the wheelie bins from along the shopping area, making it easier to visit the shops and presenting a much better face of Forest Hill. If you have suggestions about ways to improve the town centre, or if you'd like advice on planning issues affecting you, please contact Michael Abrahams, Chair of the FH Society Development committee.